How we did it? 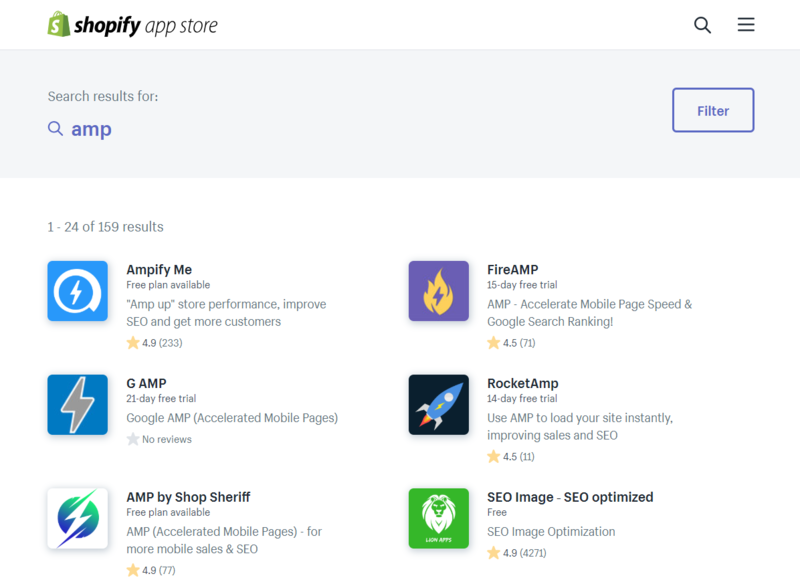 Well, in this article we will share some key points that arise us from other AMP applications available on the Shopify market. In our experience, these are some of the most important features that helped us. From the application publishing on the Shopify app store, we’ve always strived to dedicate our time in supporting customers and helping them out to understand the purpose of our application, to consult them and to answer to every their request. We had successful support from the customers from the whole world and were and are, able to help and give answers even to some non-AMP related topics. All with one single goal, to make sure that our customers get all the benefits from their online business. 3. Making sure that every aspect is working as expected. From development to delivery, we always double-check our work until we are 100% sure that everything is working perfectly. Especially after the app is being installed. We want to be sure that every single AMP pages generated by our app are completely valid. This is one of the reasons why we added AMP page validation checker inside our app, which gives you a quick overview of the status and informs you if there is any problem. Because, only when we are certain that we gave perfect products, we can move on. The application itself provides a whole bunch of features that are available throughout the different tiers. Even in our FREE tier, you can find the crucial functions and give your store a nice push forward in getting new customers We are trying our best to help you and your business grow, and so far a lot of happy customers show that it is working. Hope you will find these helpful, and take a look at reviews and see all the great feedback we got from our customers. (By the way, here is the screenshot that was made during the time of writing this post.